PosiChek3 verifies SCBA "fitness" for use: A properly maintained SCBA must be capable of meeting basic NIOSH / NFPA performance requirements. Unfortunately, given the hard usage that SCBA receive, performance can sometimes "slip". Unless SCBA are regularly tested to verify proper performance, a loss of function may not be noticed until after an accident has occurred. The PosiChek3 automatically determines the operational fitness of an SCBA by means of a series of dynamic tests and functional checks. 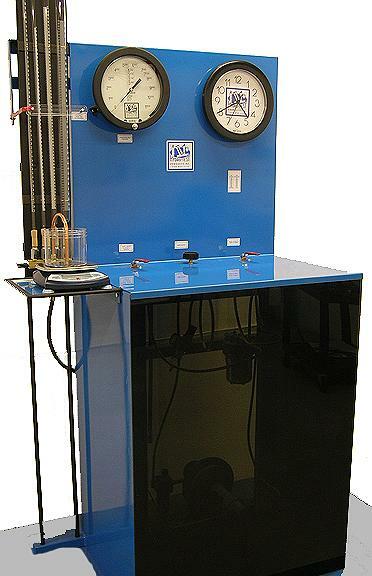 PosiChek3 testers quantitatively determine whether the current performance of an SCBA meets NIOSH and NFPA requirements. Regular PosiChek3 testing ensures that SCBA which require maintenance are identified and taken out of service before an accident occurs, not after. 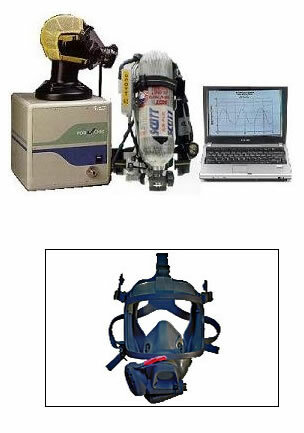 PosiChek3 provides complete evaluation for proper performance: The PosiChek3 provides a complete, dynamic evaluation of SCBA performance, then stores the test results right on your personal computer.